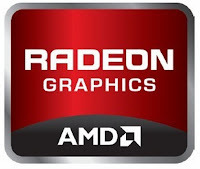 AMD realased a new update for the crosfire users to update the ATI Catalyst 10.9a profile this will update and improve for nine game titles. DirectX10/11 application updates: Stone Giant CrossFire update. Multiplayer Medal of Honor CrossFire update. Civ V tweak CrossFire update. Hawx2 CrossFire update. F1 CrossFire update. World of Warcraft DX11 version CrossFire update.